Pocky is one of the most delicious Japanese snacks ever. Every time you buy it or receive it in a monthly subscription box, it makes you happy. Light and crunchy. Perfectly portable. Doesn't Pocky's excellence make you wish you could celebrate it somehow? Like dedicate some kind of 24 hour period to its shape, size, flavor, and texture? Good news! You can (and you will). Every 11th of November, all of Japan celebrates Pocky Day. If you want to get in on the fun, keep reading. We've got the story behind Pocky Day's creation and tons of tips for celebrating like a pious Pocky acolyte. 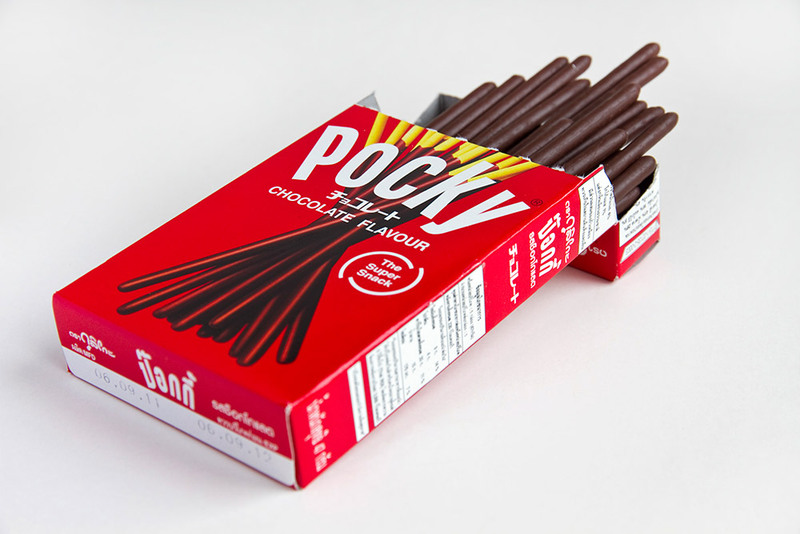 Pocky is the Japanese snack you'll see almost everywhere. They're breadish/cookie-ish sticks with chocolate on them. They're popular all over the world. But it's most popular in Japan, its country of origin. Every November 11 (11-11), Japan goes Pocky crazy, because the date is made up of ones. And ones are the same shape as Pocky. Sure, it seems obvious in retrospect. Ones = sticks. But it wasn't so obvious to Pocky's creators. Then what inspired this national cookie eating phenomenon? Turns out nothing. Pocky Day wasn't inspired. It was stolen. In 1963, the Ezaki Glico food corporation created Pretz, a bready-stick snack. Three years later in 1966, Glico decided to add chocolate to Pretz for a new kind of sweet stick treat. But covering the entire stick in chocolate was no good. Holding a chocolatey end made for a messy eating experience. To solve this, Glico thought to cover one end in removable foil. But that would be too costly to implement (not to mention annoying for the consumer). Ultimately, the company decided to remove some of the chocolate from the end of the snack, creating a kind of "handle." They called their new product chocotekku チョコテック（） because tekuteku テクテク（） is the Japanese onomatopoeia for walking. Unfortunately, another company had already trademarked that name. So Glico turned to another onomatopoeia for inspiration: pokkin ポッキン（） the sound of something long snapping in two. A natural sound to associate with Glico's new snack. And thus, Pocky ポッキー（） was born! Of course, Pocky grew in popularity. And it wasn't long before a rival company took notice. In 1983, South Korean food company Lotte launched a similar (identical) product called Pepero. Over ten years later a holiday called Pepero Day organically emerged. 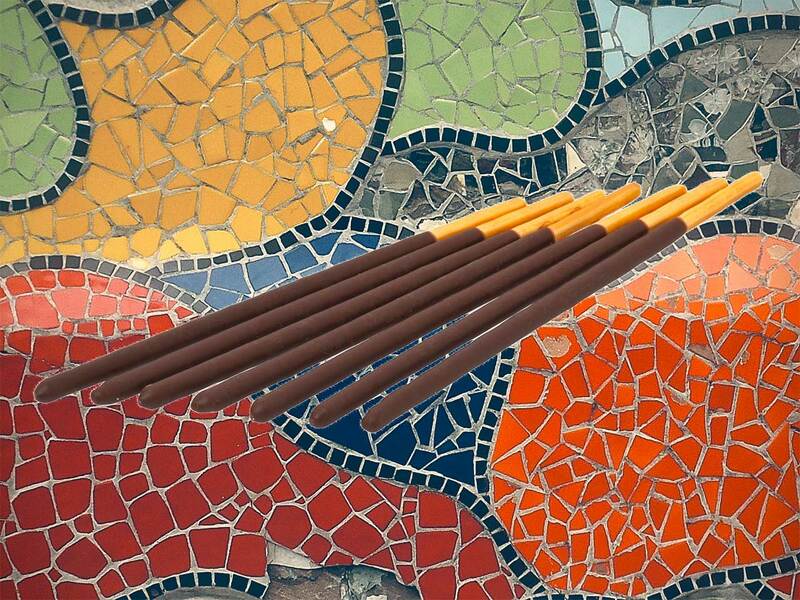 On November 11th, people in South Korea exchange Pepero in a sort of autumnal Valentine's Day. It's actually a major event. One story claims two schoolgirls in Yeongnam started the tradition. Supposedly they ate Lotte Pepero on November 11, 1994 in the hopes of becoming tall and thin. The logic: eating stick-shaped foods on a stick shaped date will make you stick shaped. The story got passed around and others in Korea began eating Pepero on 11-11. In 1997, Lotte decided to capitalize on the trends and officially started promoting Pepero Day. 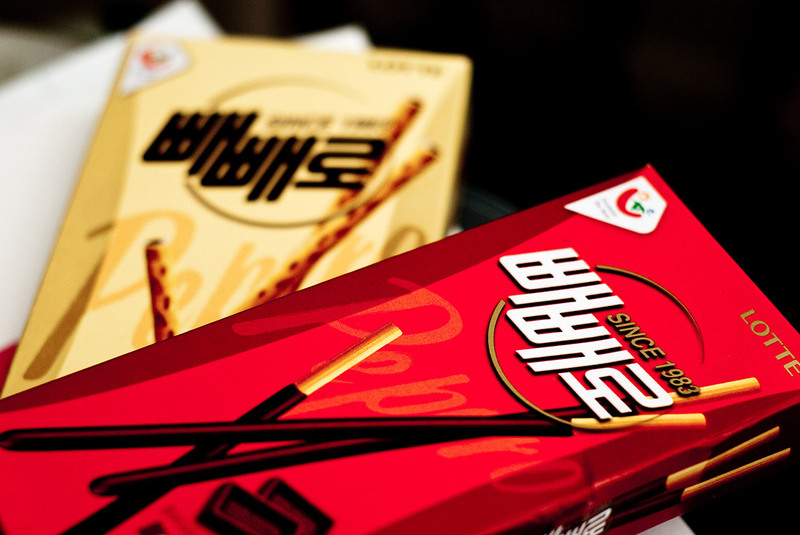 It grew so popular that by 2012, Lotte was making 50% of its annual profits from Pepero Day. Back in Japan, Glico was not amused. 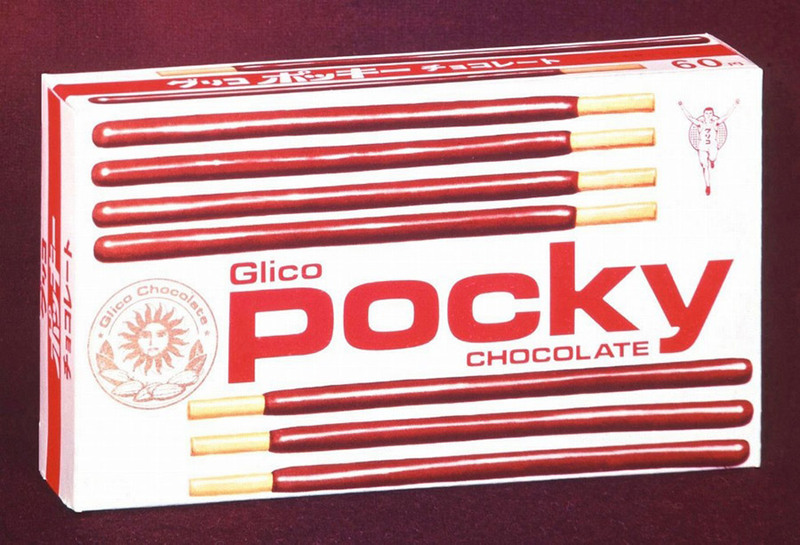 Pocky was the original, but there was no such hysteria going on there. 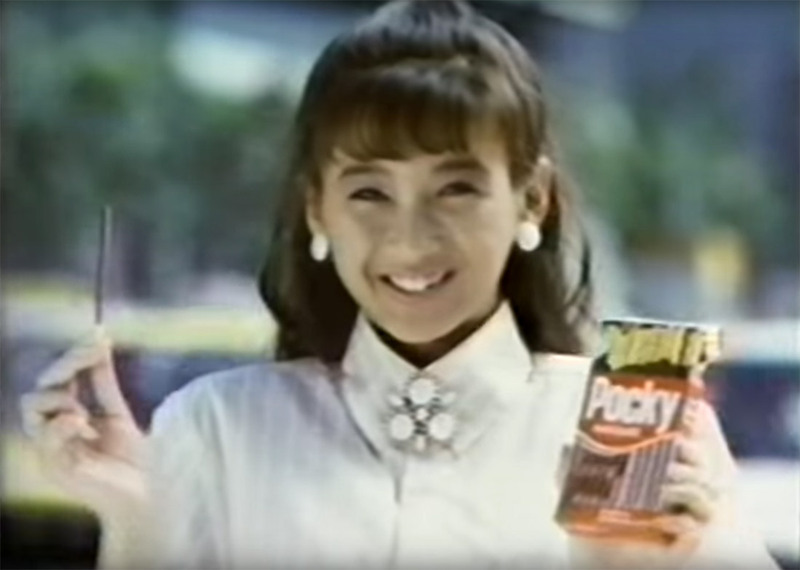 If schoolchildren weren't going to drum up annual Pocky mania, Glico would do it themselves. The company had a simple plan: deploy advertising on November 11th and tell everyone it's Pocky Day. And that's exactly what they did in 1999. If 1999 seems like a random year to start a holiday, it's not. 1999 is the 11th year of Heisei in the Japanese calendar. Thus November 11, 1999 in Japan was 11-11-11. Since that day, Glico just kept spamming November 11th with advertising until everyone agreed it was a good excuse to eat cookies. 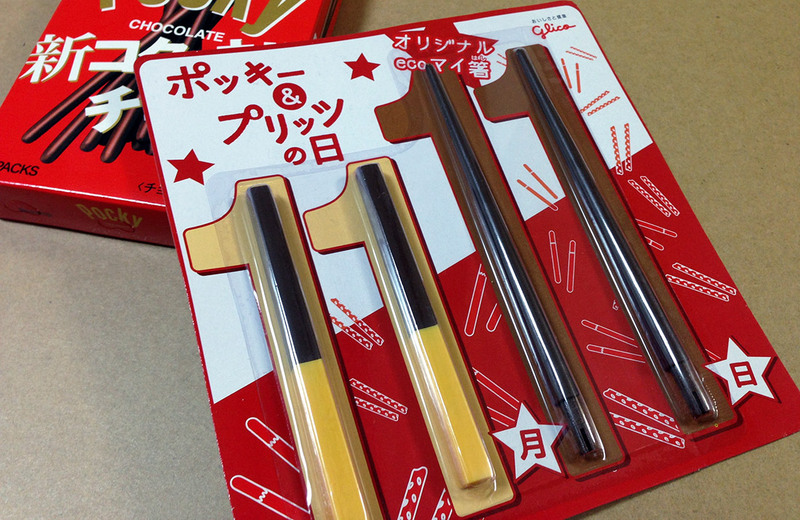 Since Pepero Day had a 16 year head start, Glico has been trying its hardest to establish a Pocky holiday in Japan. Every year, they release ad campaigns, contests, collaborations, and skydiving events. It's an all out marketing blitz. Here are a few of the many promotional events Glico has tried. In 2014, Glico held a "World Challenge" from October 14 to November 11. They invited people from all over the world to submit pictures of themselves with Pocky. This was done as an official attempt to set a Guinness World Record for the "Largest Online Photo Montage of Cookies/Biscuits." Of course, they set the record. I don't think there ever was (or ever will be) much competition for that title. (And ultimately, it's not the dumbest Japanese world record attempt.) 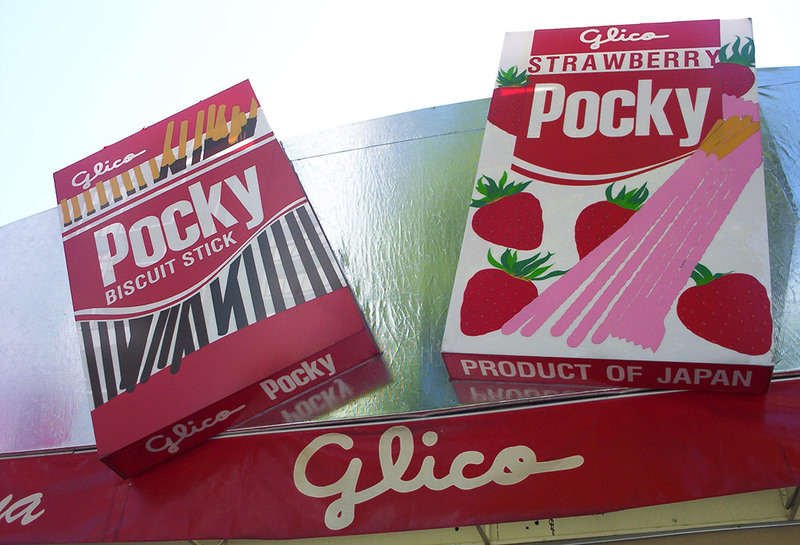 Glico gathered 16,825 photos of people eating Pocky and Pretz. You can't view all the photos from that world record attempt individually, but you can view most of them in Glico's victory video. They continued the photo tradition on Pocky Day 2015, though they didn't break any records this time. 2015's collection is viewable in full. "Largest Online Photo Montage of Cookies/Biscuits" isn't the only Guinness record held by Glico. They also hold the record for "Most mentions of a brand name on Twitter in 24 hours." This was set by asking Pocky fans to tweet like crazy. And they did. On Pocky Day 2012, "Pocky" got 1,843,733 mentions on Twitter. That record was broken the following year when Pocky was mentioned 3,710,044 times on Pocky Day 2013. Glico doesn't stick to online promotion only. They take their message to the streets. Streets directly beneath a tower to be exact. 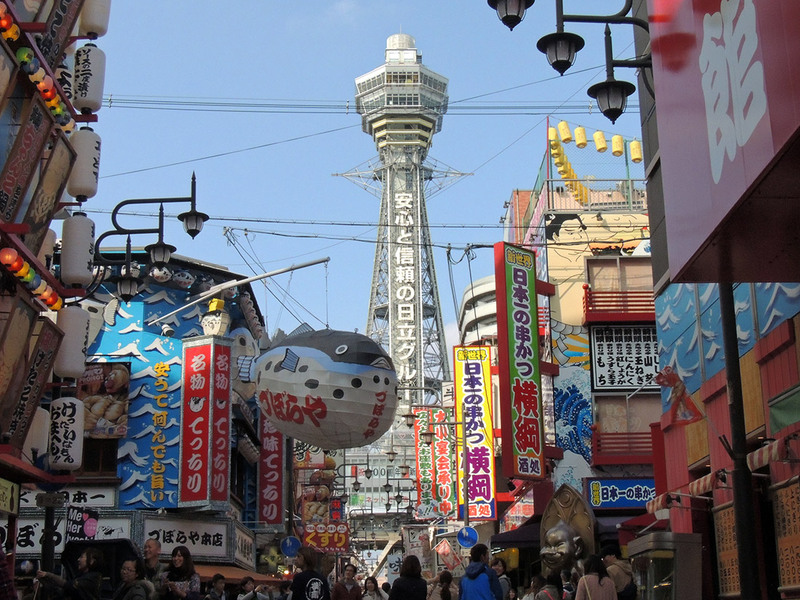 The Tsutenkaku tower is a popular landmark in Osaka. Glico went here on November 1, 2, 7, 8, and 11 to hand out free Pocky and Pretz. They also had games. "Doki Doki Pocky Roulette" was a wheel spinning game that told your personality type based on what Pocky flavor the wheel landed on. From November 1st to 11th, they offered a game called "Just 11." It was basically a giant stopwatch shaped like a Pocky box. If you could stop the timer on 11:11, you would win a box of Pocky. After your Pocky gaming, you could enjoy an exhibition detailing the history of the Tsutenkaku tower and Pocky. Educational! In 2016, Glico kicked the Tsutenkaku collab up a notch with seven simultanerous events. It seems like Tsutenkaku is the place to celebrate Glico's chocolate biscuit stick holiday. Huge Pocky Streamers: Giant five millimeter Pocky and Pretz streamers were pinned atop Tsutenkaku. Not an event, but still big and eye-catching. Golden Pocky Mystery Word Hunt: Eight golden Pocky boxes were hidden in Tsutenkaku. Each box had a word, and if you put all eight words together, it revealed a hidden message. If you got the message, you could win a prize. The prize was a secret for winners only, so we'll never know, unless we can track down someone who successfully put the eight golden words together. Pocky Ring Toss: Tsutenkaku had a special Pocky ring toss in which each peg had a number on it. Players would throw a certain number of rings, hoping to land them on numbers that would add up exactly to "11." Because y'know, Pocky Day. Free Pocky Sampling: This was a bunch of cups of free Pocky set out for people to take. Not a huge deal, but I wouldn't complain if someone handed me free stick cookies. Sharehappi Slot Machine: This event taught kids a valuable lesson: gambling always pays off eventually, so just keep doing it until you win. Tsutenkaku-Jack: - Sorry, folks. This one doesn't make sense to me. I'm just the messenger. Number six of the seven listed events at Tsutenkaku tower was…events at Tsutenkaku tower. "Tsutenkaku-Jack" stands for hijack of Tsutenkaku tower, referring to Pocky and Pretz taking over Tsutenkaku to hold all the events listed here. So within the list of events is an event which contains all the events, which contains itself… I think we're getting into Pocky-ception, here. Pocky and Pretz "Spot the Difference" Room: This was a special room in which the wallpaper had a pattern of Pocky and Pretz boxes. But there are minor differences all over the room. It's like those maddening activities on snack packages, except all around you in every direction. Maybe going to a location and handing out Pocky is too mundane for you. Any company can do that. Well Glico steps it up with Pocky Rockets. This is exactly what it sounds like. Glico hired a team to launch Pocky and Pretz shaped rockets on November 11, 2013 at 11:11am. 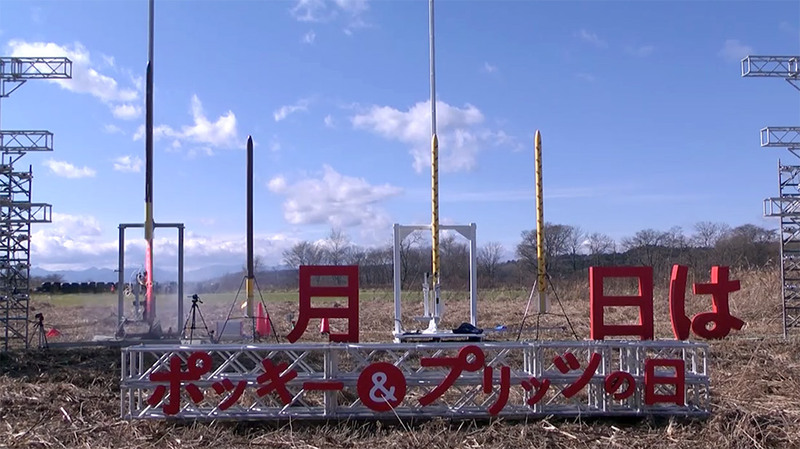 Leading up to the launch, they created a website where users could create their own virtual Pocky Rockets and launch along with the actual rocket. The real life Pocky Rocket launched on a livestream to an audience of over 94,000. You can relive the magic by watching the video. Of course, the Pocky Rocket team had the foresight to put a camera on the Pocky Rocket, so you can become a bready cookie stick flying into the stratosphere. You know exactly what's up when you hear "Pocky" and "rockets" together. 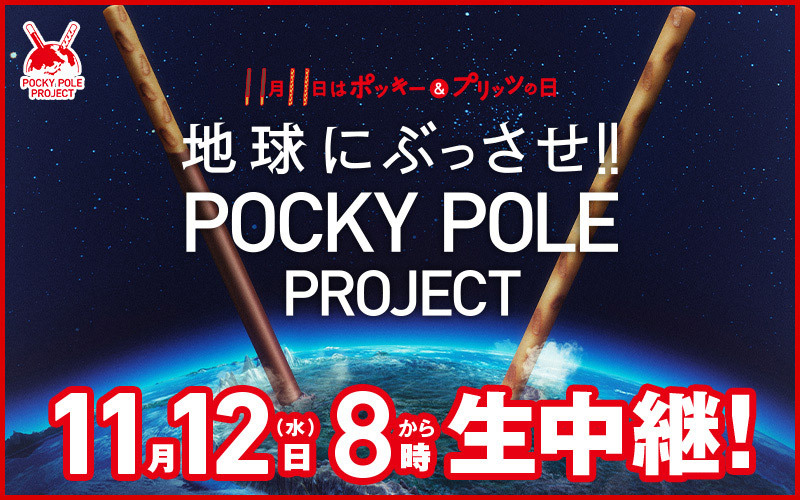 The "Pocky Pole Project" is a bit more confusing. Confusion aside, it's a lot more creative and interesting than simply shooting Pocky into the air. On November 11, 2014, skydivers were taken to 1,111 meters in the air. Skydivers jumped out of the helicopter. At 111 meters at 11:11am, they dropped giant Pocky onto a giant target painted on the ground below. The drop was livestreamed on NicoNico. If you'd like to watch it, you have to sign up for an account. Otherwise you can read all about their success in the project's final blog entry. This is a three member music and dance group made up of members from EXILE1 and J-Soul Brothers2. Glico really kicks it up a notch, forming a band that is Pocky promotion specific. The three-man team starred in Pocky commercials doing their signature Pocky dance. And of course, Glico didn't stop there. 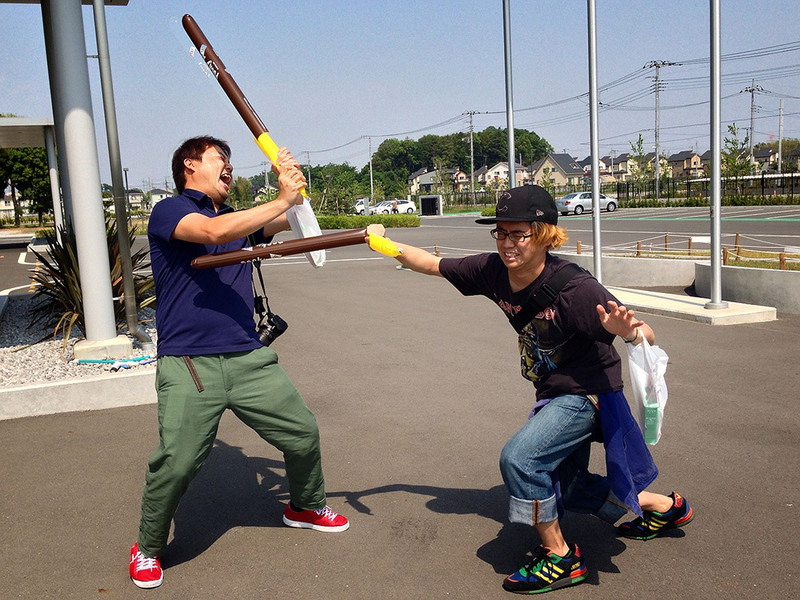 They offered a full live event starring the Sharehappi on NicoNico Douga on Pocky Day 2015. During this event, they announced the winners of the Sharehappi dance contest. That's right. All of Japan was asked to submit their best Sharehappi dance video. The grand prize winners won ¥110,000 directly from Sharehappi themselves. The winner's video was broadcast on the Glicovision screen in Shibuya. 111 runners-up were chosen randomly to receive an exclusive Pocky uniform. 200 were randomly selected to attend the Sharehappi event on November 11th. The event was so successful, they continued the event in 2016 with "Sharehappi Dance Contest 2." Maybe you're not into "synchronized dancing," or "handsome men," or "the internet." Maybe you prefer your music performance live at a real venue. Glico gets you. They're the uncorporate corporation. 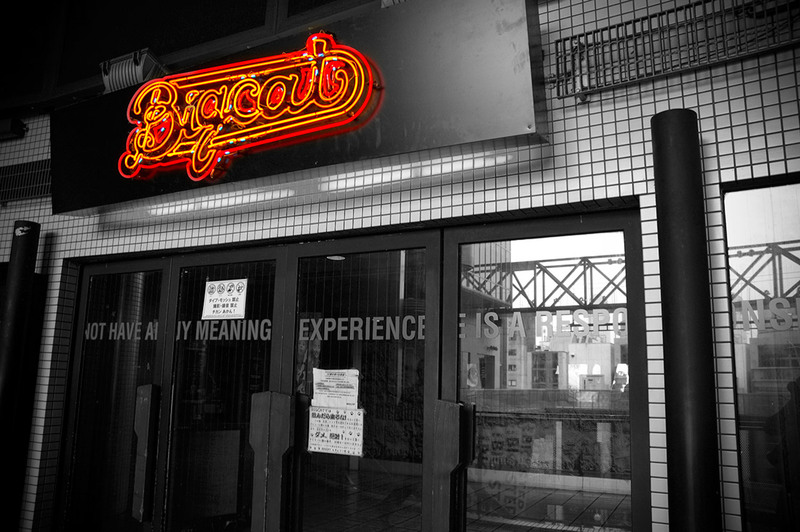 That's why they held Glico Live "Next" Special at BIGCAT in Osaka. Bands that performed were Hitorie, Fujifabric, and frederic, the polar opposites of Sharehappi. Good on Glico to find a way to appeal to consumers who inherently hate them for selling products. In 2016, Glico schemed to kick their photo collage idea up a notch…by launching a photo mosaic campaign. This time, random peoples' pictures come together to form…something! To partake, customers had to go to special Sharehappi event areas in Japan to submit their photos, at large train stations in Tokyo, Osaka, Nagoya, Sapporo, Hiroshima, Sendai, and Fukuoka. Why not let people digitally send their digital photo? Because there are prizes to be had, my friend. On November 11, 2016, the photos were assembled into a mosaic on this site. The photo efforts of 11,111 people went into the mosaic. And it certainly is…11,111 photos. Any multimillion dollar company in the modern era will take to social media on special event days, and Glico is no different. In 2016, there were three we could find. 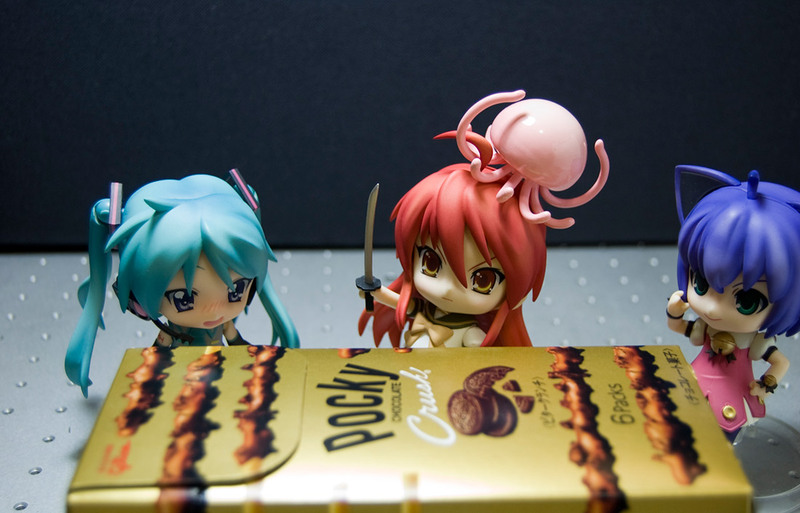 Pocky Photo Campaign: Between November 4 and 11, the official Pocky Twitter and Instagram ran a photo contest. Post a photo of yourself with their products with the hashtag #ポッキーフォト and you could win 1,111 boxes of Pocky. For an average otaku, that might last two or three binge-watching sessions. Mamari X Pocky: Mamari is a Japanese site about moms and families and babies. Kids are cute and shareable, so the contest revolves around posting photos with a hashtag to win a prize. We said Glico was active on social media, not creative. 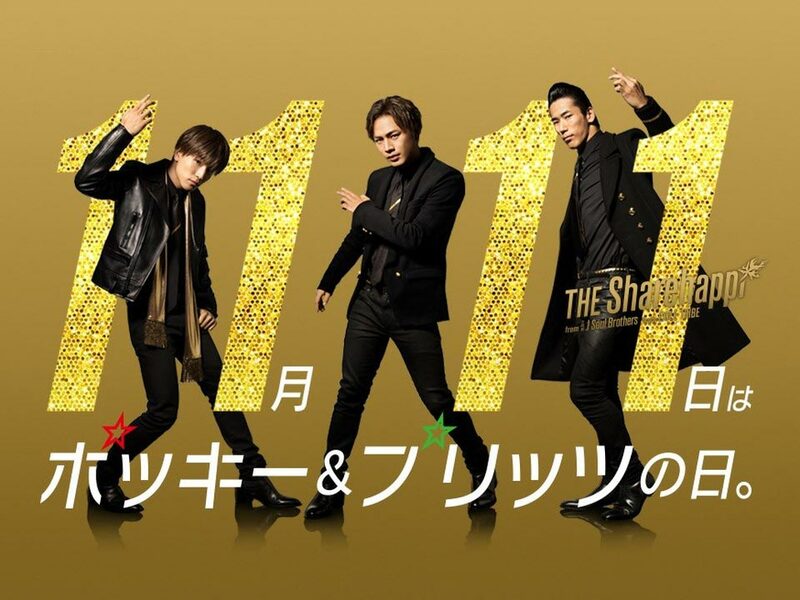 Sharehappi Event Livestream: Just as they did in 2015, Glico hosted a live event of dancing and guests and handsome men. But instead of streaming on NicoNico Douga, they moved to LINE's livestreaming service. And instead of streaming on Pocky Day, they did it on November 5, which isn't any kind of day. Just Saturday. This is strange because 2016 marked 50 years of Pocky! Kind of a big deal, Glico. Oh well. Maybe they're saving the big festivities for their 100 year anniversary. Glico may celebrate its own holiday by throwing marketing at you, but you should decide how to celebrate it yourself. Here are a few ways you can celebrate along with Japan. I know this seems obvious. But you'd be surprised how often you get wrapped up in hanging decorations and singing songs, that you just plain forget to eat Pocky. Buy as many varieties as you can get your hands on and eat! More importantly, share them with friends. Pocky is all about sharing. You have to do something while eating your Pocky. And nothing goes better with eating than watching. Fire up some classic Pocky CM3 and start munching. Honestly, they're all pretty entertaining. I'm always happy to give my money to a company that knows how to mix art with advertising. Here are a few of Tofugu's favorites. This one takes a really quick turn… for the better? Another "I Can't Believe That Happened" commercial. Yellow Magic Orchestra may have the most creative Pocky commercial ever. Checking Japanese news4 or tweets on Pocky Day means seeing people playing the Pocky Game, the easiest (and grossest) way to get your Pocky holiday kiss. It's a game of chicken with a spin-the-bottle line of thinking behind it. To play, put a Pocky stick in your mouth and your friend's mouth on the other end of the stick. Eat toward each other. The first person to the middle wins. If the players kiss, it's a tie. A variant of the rules say you have to eat toward each other until you kiss. First one to break the kiss loses. This version seems less like a game and more a weird reason to kiss with food in your mouth. Gross. A very common sight on November 11th is Pocky towers. Using the Jenga theory of architecture, Japanese people build towers out of Pocky sticks. Some of them get impressively high! As cool as these look, it feels like a waste of Pocky to me. You can't eat the ones at the base (unless that surface is really clean or you're really gross). I suppose you can eat your way down the tower. Just don't let the tower fall or it'll be mechakuyashii めちゃ 悔（くや）しい! Regular Pocky too boring for you? Wish it had a little more pizzazz? (Where's your sense of showmanship, Pocky?) Glico provides directions for various types of DecoPocky. These range from simple to complex, but they're all really neat looking when they're done. And Glico's DecoPocky are only the beginning. Twitter and Instagram users post their DecoPocky creations online too. 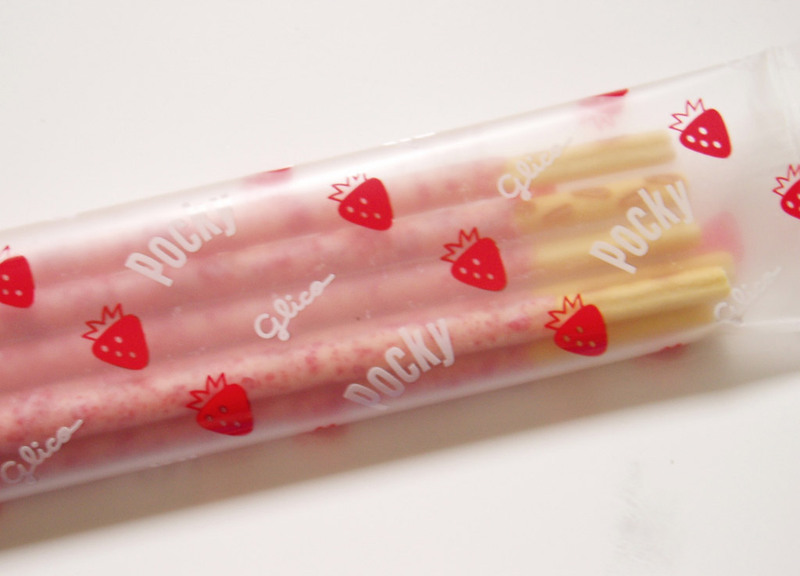 So even if you're not up for making any of your own, there's plenty of pretty Pocky to look at. Probably the truest way to celebrate Pocky Day is with Pocky creations. I'm talking fan art, fan videos, photos, and more. Fan fiction even? It probably exists. People from all over the world prepare for the trending topic with fun and imaginative creations. Fan art is one of the most obvious outlets. Hajime's mannerisms and reactions are always funny. Make sure to keep an eye on the Pocky boxes on the wall. This video shows you how to make a crepe out of Pocky. Seikin eats a bunch of different types of Pocky. So you can get inspired. Or jealous. And finally, this. Quite possibly the crown jewel of Pocky Day celebration videos. Bravissimo. How Will You Celebrate Pocky Day? That's enough reading. Time's running out! It's Pocky Day and you don't want to waste a second without Pocky in your mouth (but no Mikado or Meiji Lucky Stick. That's cheating). 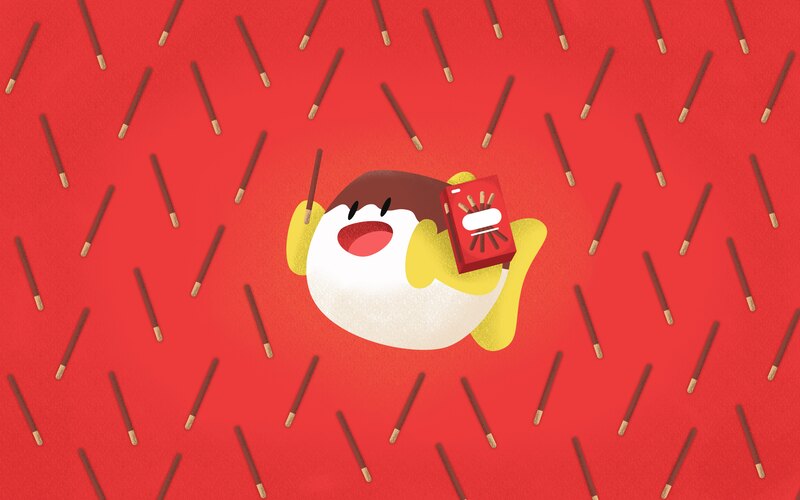 Celebrate Pocky to its fullest and we'll see you when we share this article again next year!